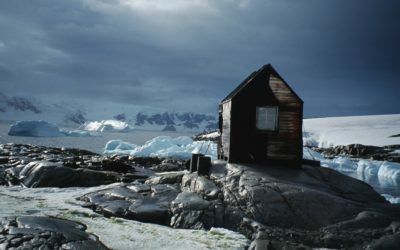 The hut Blaiklock Island was built in 1957 as a refuge and advance base for survey and geological parties from Horseshoe Island (Station Y). The sea ice around Horseshoe Island had proved unreliable during the previous two seasons, limiting the amount of sled travel and survey work that could be carried out from base. 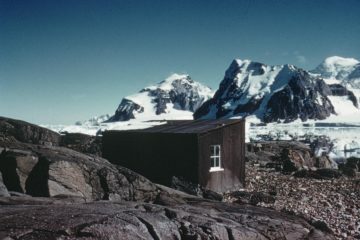 Used as a satellite hut for personnel based at Horseshoe Island (Station Y). Also used by parties from Detaille Island (Station W) and Stonington Island (Station E). Designated as Historic Site No. 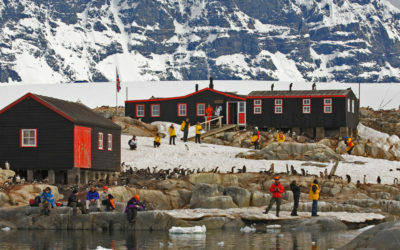 63 under the Antarctic Treaty, 19 May 1995 (included with Horseshoe Island Station). Site cleaned up and minor repairs completed Mar 1997. It has been managed by UKAHT since Oct 2014 under a Memorandum of Understanding with BAS.